Elk Grove Heating and Air Conditioning from a Local Elk Grove HVAC Contractor. Stockton Heating and Air Conditioning from a Local Stockton HVAC Contractor. We are a residential Heating and Air Conditioning Installer serving the local Sacramento and surrounding communities. 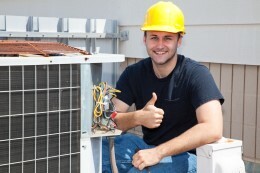 Here at All-Air heating and air conditioning we can offer you the best HVAC services and repair around. Our services include: HVAC, Insulation, Indoor Air Quality, Refrigeration, Installation, Maintenance, and more. All our service technicians are professional and make sure the job gets done right the first time. We want you to have a stress free experience and will make it a point that your new installation, service, or repair goes through perfectly, guaranteed! When you visit our testimonials page you will see that All-Air Heating and Air has built an extraordinary reputation over the years in Northern California. We have accomplished this with our great service results and our reasonable prices. If you have any questions or would like to set up an appointment please contact us on this website or call us at (1-209-368-4264).